My dad sent me this picture. I laughed so hard. I cropped out the child, but there is a very proud little naked boy next to his work. Kids are so literal. 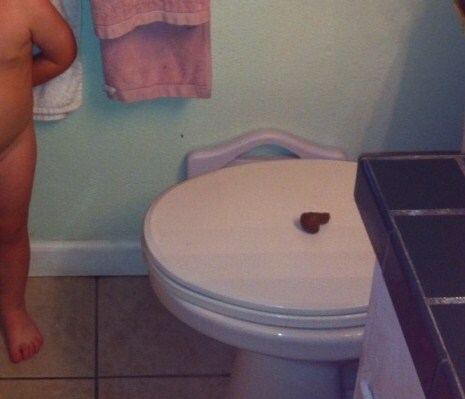 The caption, "I poop on the potty!" ROFLMAO!!!! Ah yes, well done, little one, well done.